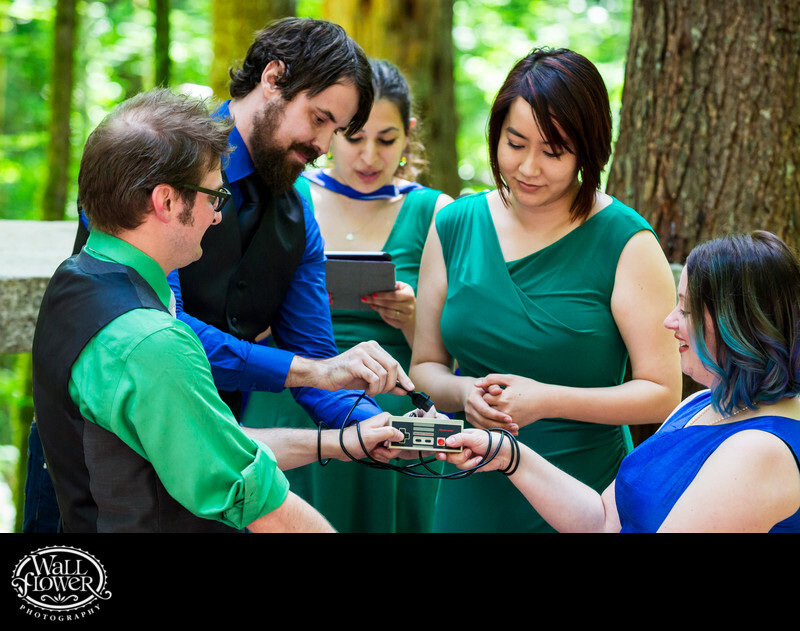 This non-traditional bride and groom intertwined a gaming theme throughout their wedding at Wellspring Spa in Ashford, Washington, near Mt. Rainier National Park. In a truly unique twist on the wrist-binding ceremony that is usually done with ribbon or rope, they used the cord of a vintage controller from the original Nintendo Entertainment System (NES), with thumbs busily mashing on the buttons as the best man helps tie their wrists together to symbolize their bond as husband and wife.